Our mission is to bring you the future of chiropractic medicine today. Request an appointment with our dedicated doctors today! The Highest Level of Chiropractic Care in Las Vegas. At Active Body Chiropractic, our dedicated chiropractors deliver a higher level of chiropractic care. 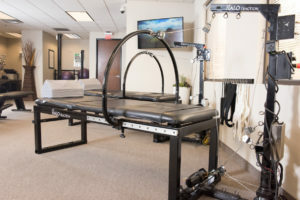 Nestled in Las Vegas, Active Body Chiropractic is a state-of-the-art medical facility that combines the practice of chiropractic, medicine, and physiotherapy with the latest technologies to maximize the treatment outcomes for our patients. With a comprehensive, holistic, and multi-level approach to care, we focus on our patients’ overall health—always keeping in mind your wellness and ability to recover. 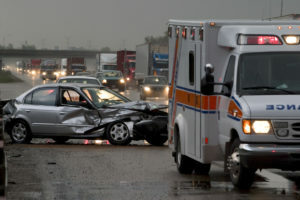 Whether you’ve been in an automobile accident or have been suffering silently at your desk, our experienced team of chiropractic professionals can help. Exclusively at Active Body Chiropractic, Halo Traction is a revolutionary therapy for relieving neck and back pain. Thank you, Dr. Cade Smith, for helping me get ready for my next fight! Thank you so much Dr. Cade Smith for helping me with my back pain so I could get back on the golf course!! 5 star staff!! 5 star services!! Whether you're injured from an accident or just wanting to maintain your health and well being this place does it all. They are true advocates of their patients' overall health and more important, their overall function and mobility! I've never had a bad experience here and find my self coming here more frequently just to get that body "reset" from the day to day beatings we task ourselves with. I highly recommend this place and have full confidence when referring family, friends, and people I know who are seeking a great chiropractor office and massage therapy. KEEP IT UP!!!!! I had the most wonderful experience here, being treated after my car accident. The staff made me feel so welcome. Dr. Glen was great! He is very personable, knowledgeable and really cares about your recovery. Samantha and Angelica assisted me each time I came in and were so friendly and were always in a great mood with smiles on their faces. I was seen here for 4 & 1/2 months and truly feel a difference in the way I feel, thanks to them. I was so happy when I left because I felt like a new person. When I went in, my body was aching and tight. They did such a great job of adjusting me. I really enjoyed the chiropractic massage and felt it was a nice touch. I definitely recommend them. Your in a car accident or maybe your body is not feeling up to speed..the last thing you want is to be pumped in and out of a facility like the line at your coffeee shop.a bar that everybody knows your name? Try a chiropractic office where everyone knows your name and make you feel like your a actual person.they don't just rub you down and say ok your cured! They talk about the issues you have and how you need to heal and actually get better.i love this place because the are professional and really take it serious as how you will get better.I am still going through treatment under a lien, and if that doesn't tell you something about their character. Man, what to say about this place? Im at the gym 6 days a week. I don't stretch as often as I should. I do not lay still when I sleep (pull a neck muscle about 6 times a year ha!) but what actually brought me to this place was a car accident. I started getting lower and upper back pain a day after the accident which I was feeling in the lower back more (at the time). Been to different Chiropractors before where they take your money, crack you and boot you but nothing like this. They actually take X-Rays of you!!! 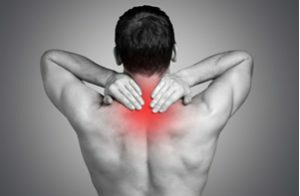 (evaluation).... MY GOD if you ever had a stiff neck, stiff lower back or the feeling that you just wanted to be ripped apart do to the feeling of just wanting to be relieved of this muscle tension. (you know who you are ;p) This is the place for you! They have an inversion table that puts others to shame! No head rush, no feeling of your ankles being ripped apart from hanging upside down, just pure lower back stretching bliss! Oh and their neck machine! Ahhh my gah! Long story short, came in for mainly lower back pain. Found out my neck took more damage than my lower back even though I was strong enough to hold back from the airbag trying to TKFO my A**. Will Definitely be back for more of that beautiful stretching and cracking and zapping oh my! These guys are great. I was pregnant and in a car accident and felt my shoulders were sore. The Dr and the staff were super helpful and friendly, and found the right way to treat me - being pregnant and all. The location was super convent for me and it's great they have some kids toys, my four year old was super happy with them. Overall - great experience! I don't even know where to start. There are so many great things I could say about Active Body Chiropractic, but it would take all day. So let me just tell you that I came into their office in a LOT OF PAIN due to a heavy object falling on top of my head. From the moment I walked into their office I was greeted by 3 truly exceptional ladies at the front desk who were all very kind and compassionate. They remembered my name after only 1 visit and they truly did make me feel like family when I came in. Cory was my rock through my entire recovery, (I love you girl) Samantha and Angelica never miss a beat from scheduling up front to hands on assistance in the back. And Dr. Glenn should should be the example that all other care providers follow. He listened to every concern I had and addressed each one of them every time. He educated me on how everything that was causing me pain and what was needed to correct it, not only in their office, but in my personal time as well. He was never anything but warm and truly concerned with my pain and my improvement. There should be a statue of this man wearing his baby blue scrubs and set outside of the building. LOL. As far as the scheduling of appointments went, there was never an issue reaching them by phone. They always accommodated my need to move or change appointment times. I never one time waited to be treated when I arrived. The facility offers various treatment options. The neck stretch machine was very intimidating at first as I watched them strap a head harness on the patient, similar to that of which you see when a dog goes on the table to be groomed, hahahaha, but it instantly became my favorite part of the treatment because of the instant relief felt from having the pressure removed from my neck being compressed. The massage tables are a very relaxing way to end the office visit. 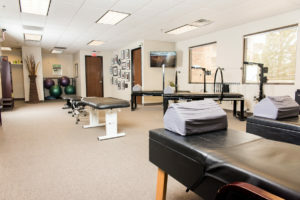 Combine the treatment plan with the constant mental support from the staff and there truly is nowhere else that comes close to comparing to Active Body Chiropractic. I owe everything to this establishment and I no longer wake up every day in pain wondering if I'll ever feel good again. Thank you Active Body Chiropractic for not only your effective treatment methods, but for you professionalism, compassion and over the top customer service. You are THE BEST!! Let me just say, had i not gotten into a motor vehicle accident I would have not been able to cross paths with such wonderful office staff. Dr. Glen and Dr. Smith have restored my strength, and provided adjustments that have diminished my pain and made me feel better as a whole. Not to mention the ladies, ms samantha and ms angelica are always very sweet, and getting a hold of them is very easy. They are very accommodating with regards to scheduling appointments based on my availability and convenience. I have had therapy for about 3-4x's a week since july of this year and let me mention, it is not your ordinary typical doctors visit that you dread. Every visit was somthing to look forward to. I would definitely recommend acrive body to anyone in pain or has been in an accident, the doctors know their stuff. Thank you for your services! Active body chiropractic has been amazing. I was introduced to them because of my car accident and they did an amazing job treating my injuries. They are caring, professional and sincere. The staff is 5 stars all the way. I would recommend them to anyone who is looking for a good chiropractor or masseuse. This place is awesome! The staff is great! They really care about your well being. I've been going for about 10 months for my back pain. They've been very helpful and accommodating. I'm grateful to have found this place. I love the the exercises they have me do and the adjustments are phenomenal! Dr. Glen is pretty good at adjusting me. i walk out feeling like a new person every time. They now have a massage therapist whom I go to twice a month. It's awesome! This place has brought comfortable movement back into life! It's rare to find a friendly front desk staff but here that is absolutely NOT the case! The front desk staff is just icing on the cake. The Dr.s here make you feel comfortable if your a little afraid of Chiro work like I was and know their stuff. I never sit waiting and always leave feeling amazing. You won't be disappointed bringing your chiropractic needs to this office. So apparently 30 is the new 50 for me and I threw my back out getting out of bed about a year ago. I couldn't believe it either. Needless to say, it hurt....alot. I was unable to even get off the couch or lift my arms for the first day with out the sensation of red hot knifes being jammed in between my 4th and 5th vertebrae . So, I found a chiropractor that was close to my work and stumbled upon Active body and Dr Cade. He was very friendly and helpful on my road to recovery. On my first trip he did not do a full adjustment as he said it would most likely do more damage than good until my back loosened up a bit, so he stretched me our a bit, did some electronic treatment on my back, gave me an anti-inflammatory drink and wanted me to come back in a few days. I felt a little better, but after the first trip I was still barley able to walk. The sweetheart at the front desk actually helped me out to my car!!! After about a week or two and few more trips to Dr Smith my back was as good as new! I would recommend Active body to anyone who needs a chiropractor! “What I appreciate most about the doctors at Active Body Chiropractic is their HOLISTIC approach to making me and my family healthier. They really take the time to understand the background of the situation, discuss the many different ways problems can be solved, and identify practical, cost-effective (in terms of time and money) methods for solving health issues. Most important—to me—is I always feel the doctors have my best interest at heart. The results I have personally experienced have been exceptional and the work they’ve done with my son has given me tremendous peace of mind. Without question, Active Body Chiropractic is my preferred medical office—I’ll always start with them when it comes to my health and wellbeing." “I’m 48 and have heard of the virtues of Chiropractic treatment but have never sought their services. While at LVAC in the spring, I stopped by the ABC kiosk where I met Drs. Richardson, Smith, and Homa. They made it easy to get started so I went for my x-ray and follow-up consultation. I’m glad I did. It was discovered I had Cervical Kyphosis—loss of Cervical Curve in my neck. A normal cervical “lordosis” measures as a 31 to 40 degree curve. Researchers found that patients with curves of 20 degrees or less experienced neck pain associated with the condition. Mine was around 17 degrees. After treatment with their cutting edge tools and a follow-up x-ray, we’ve seen a significant change in the cervical lordosis from 17 degrees and 28 degrees. Our treatments continue, but the progress we’ve made has shown great promise for a full recovery. The office is professional, but you hear a lot of laughter and friendly conversations taking place all around. Kids are welcome, too. The doctors all have a passion for their craft and as athletes their approach to treatment is with the understanding of what you’re experiencing as they may have had treatment for your same injury." Our team of dedicated doctors and therapists offer quality chiropractic care that begins during a comprehensive intake evaluation. Our systematic intake process includes orthopedic, neurological, and biomechanical testing as well as x-rays, digital imaging evaluation, and nerve conduction testing among others. Our scientific approach every aspect of your health not only allows our doctors to design better treatments, but it also helps you maximize the benefits of your treatment program. Contact Active Body Chiropractic Today! With a comprehensive, holistic, and multi-level approach to care, we focus on our patients’ overall health—always keeping in mind your wellness and ability to recover. © 2017 Active Body Chiropractic. All Rights Reserved.